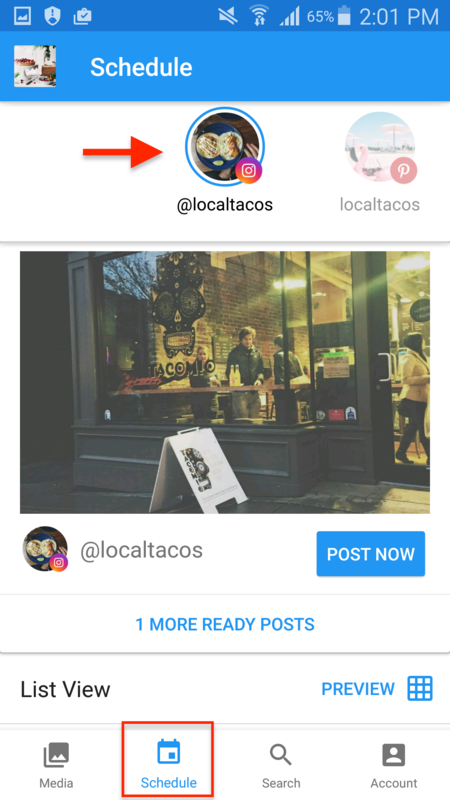 Curate a stellar Instagram feed by previewing your scheduled photos with your current feed, then with a simple drag and drop motion, rearrange the order of the photos until you're happy. Tip: Save even more time by planning and scheduling your posts with your Visual Instagram Planner from Later on desktop. 1. Go to the Schedule tab and from the top menu select the Instagram account. 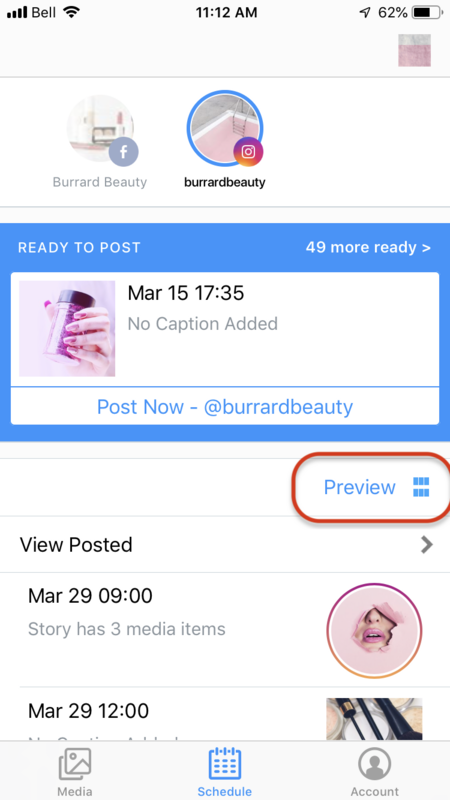 Important: The grid view is only a visual view of your scheduled posts, to enter the edit mode long hold on a photo. 3. To rearrange the order of the photos hold down the photo(s). 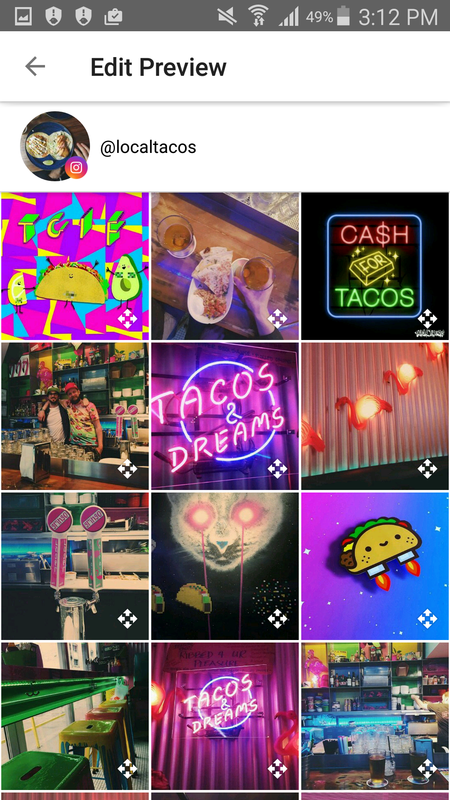 4. hold a photo and drag from left to right or top to bottom to rearrange the look of the feed. Then hit Save to save the changes. Go to the Schedule tab and from the top menu select the Instagram account. 2. 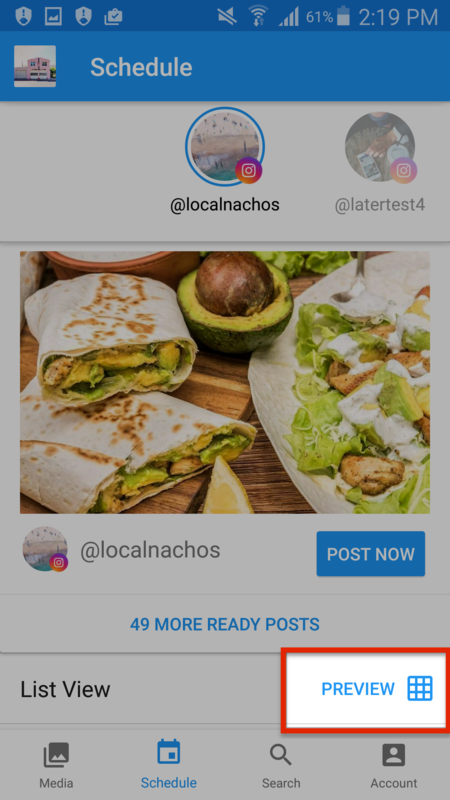 Select the Preview Option (List view only shows a list of the upcoming scheduled posts). 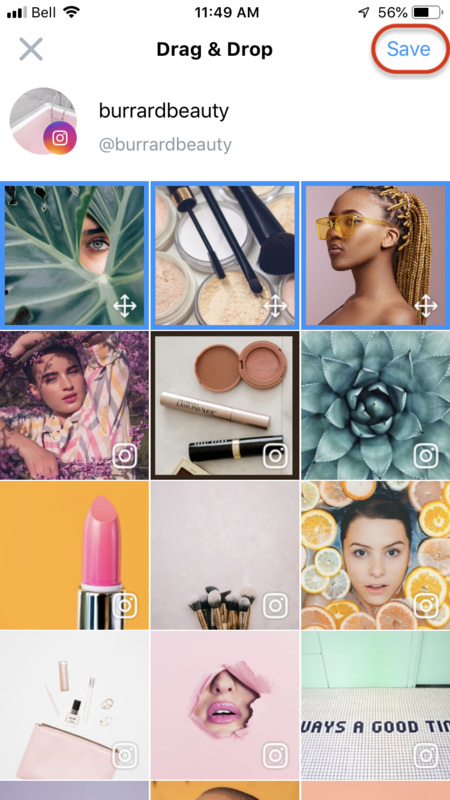 The grid will automatically show your existing Instagram feed and your scheduled posts (distinguished by the Instagram icon). 3. To edit the order of the photos hold down on the photo and you'll enter "Edit Preview" mode. 4. Hold down on the photo and drag from left to right or top to bottom. 5. Select the Check Mark in the top right corner to save the changes.